Shirts With Random Triangles: Video: Duke's Marshall Plumlee Salutes Family, Fellow Players And Coaches In Emotion-Filled Speech. 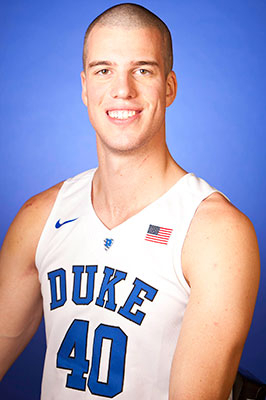 Plumlee was a member of Duke's Army ROTC program, and will become a commissioned Army officer when he leaves school. He could still pursue an NBA career while serving as a member of the Army National Guard or Reserves.